DevOps with Visual Studio Team Services and Team Foundation Server | Free eBooks Download - EBOOKEE! Posted on 2017-08-24, by everest555. Looking for DevOps training? If your team is designing, building, and managing enterprise solutions and cross-platform mobile business apps, you may have already established some DevOps guidelines. See how practicing DevOps can help teams respond faster to competitive pressures by replacing error-prone manual processes with automation for improved traceability and repeatable workflows. 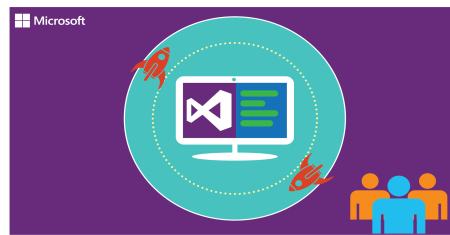 Take this opportunity to explore the Microsoft DevOps solution built upon the Visual Studio Team Services (VSTS) and Team Foundation Server (TFS) platform. Get a detailed look at this integrated, end-to-end solution for teams of any size. Learn how to manage environments more efficiently and how to help enable cost savings with a combination of on-premises and cloud resources, along with tightly integrated open source tooling. Look at Git and version control, build and release, DevOps for Java, and much more. No comments for "DevOps with Visual Studio Team Services and Team Foundation Server".